If you currently have an acute (severe) frontal sinus fracture, same day appointments are available. Dr. Volshteyn accepts direct inter-hospital transfers to major trauma centers in central NJ. 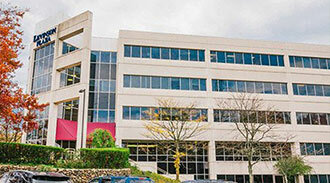 Please ask your referring physician to call our office 732-641-3350 and we will assist with the transfer process. What is a frontal sinus fracture? This is a very common type of fracture usually caused by blunt force trauma to the forehead area such as a motor vehicle accident, recreational accident, or altercation. The frontal sinus is usually not present at the time of birth and slowly starts to develop at the age of two reaching full maturity by the age of 15. The size of a fully matured sinus is about 3cm high, 2.5 cm wide, and 2cm deep with an average volume of about 10 cubic centimeters. 80% of patients have two sinuses, one on the right and one on the left. In 20% of patients, the sinus may be absent, under developed, or only one present. What are the symptoms of a frontal sinus fracture? How is a frontal sinus fracture diagnosed? A CT scan is usually required to diagnose a frontal sinus fracture. A few medical professionals obtain regular sinus x-rays, which is inconclusive. Since the anatomy of the face is quite complex, other facial bone fractures are commonly present with frontal sinus fractures. A facial CT scan is recommended to rule out associated orbital and midface fractures. It is very important not to focus exclusively on the frontal sinus area for a fracture. In 75% of cases, additional facial fractures are present, and three quarters of patients with frontal sinus fractures also sustain loss of consciousness. Since these injuries are complex and severe, the treating physician must examine the eye itself, and other portions of the face and neck. Any lacerations or cuts overlying the frontal sinus have to be examined under sterile conditions in the operating room because of possibility of associated CSF leak or communication with the brain cavity. The nose also has to be examined for possible associated fractures. Patient will be asked about salty postnasal drainage or presence of a watery runny nose. The movement of the eye and eyelid needs to be thoroughly examined, as orbital (eye bone) fractures are a very common occurrence along with frontal sinus fractures. An exam by an ophthalmologist (eye doctor) is mandatory to determine the integrity of the eye itself. How is a cerebrospinal fluid (CSF) leak determined after a frontal sinus fracture? When a CSF leak is suspected, a halo sign test is performed. First a portion of bloody nasal drainage is placed on filter paper and observed. If a cerebrospinal fluid leak is present, the fluid diffuses faster than blood cells resulting in a clear halo around the central blood stain. A chemistry analysis of the nasal drainage may reveal elevated levels of glucose contents consistent with cerebrospinal fluid. A beta 2 transferrin test is the definitive test for CSF leak. Nasal drainage is collected in a red top tube. A positive test for beta 2 transferrin confirms a CSF leak. The only other areas in the body that have beta 2 transferrin are the vitreous fluid of the eye and perilymph of the ear. Since most institutions are not equipped for this type of test, the specimen has to be sent out to a special lab taking 5 to 7 business days for a final result to be determined. How is a frontal sinus fracture treated? Since the current emergency room treatment guidelines are a bit outdated and questionable, many patients, both adult and pediatric, are routinely sent home without proper treatment. This results in complications down the road requiring surgery. Frontal deformities after frontal sinus fractures are commonly considered cosmetic problems by the insurance companies if addressed later, creating a significant financial burden to the family. Dr. Volshteyn, our board certified plastic surgeon, is an advocate of the immediate treatment of frontal sinus fractures. He is happy to accept transfers from outside emergency rooms to one of our participating hospitals for severe cases, Due to the complexity of these cases, more than one plastic surgeon often performs the repair surgery. He utilizes a special incision technique underneath the eyebrow resulting in a less noticeable scar for the patient. If you or your child has sustained a frontal sinus fracture, or if you are in the emergency room waiting to be treated, we recommended asking your treating doctor to call our office number, 732-641-3350 and select the emergency line to reach Dr. Volshteyn directly on his cell phone to discuss your case with him to see if transfer is appropriate. The anterior table of the frontal sinus provides the shape for the forehead, brow and glabellar. On average, it is about 4 -12 mm in thickness. It is more resistant to fracture than any other facial bone. The posterior table separates the frontal sinus from the cranial fossa, where the brain is located. It can be as thin as 0.1 mm or as thick as 5 mm and is much less resistant to injury. The frontal sinus has 2 openings located on the inferior and posterior aspect of the frontal sinus. They are medial to the orbit. Each opening is about 3 or 4 mm. This is the only drainage path for frontal sinus. Medial attachments of the upper and lower eyelids need to be checked by pulling upper and lower eyelids laterally. It is very common to have a nasal orbital ethmoid fracture together with frontal sinus fracture. It is also important to have detailed examination of the extraocular movements of the eye. With injuries to the roof of the orbit, the superior oblique muscle can be injured or its attachment to the medial aspect of the inner orbit displaced. Patient may complain of pain or discomfort, or catching with upward and downward gazes. To better isolate the superior oblique muscle the eye needs to be turned to the most medial position toward the nose. Doing so will neutralize the superior and inferior rectus muscles. The patient is then asked to look downwards to better assess the function of the superior oblique. Usually, isolated anterior plate fractures of the frontal sinus are treated by a plastic surgeon, ENT specialist, or a neurosurgeon. Posterior plate fractures are treated by a neurosurgeon. Combination fractures may require more than one specialist. Ophthalmologic examination is mandatory. A CT scan is required to properly diagnose frontal sinus fractures. A few medical professionals opt for regular sinus x rays, however the results are inconclusive. CT scans have to be performed with very thin slices. Axial slices are better for examining injury to anterior and posterior tables. Coronal images are mostly used to palliate the floor of the sinus and the roof of the orbit. Sagittal reconstructions with 3-dimensional reconstruction may be required to better evaluate the patency of the frontal recess and the nasofrontal duct. Three-dimensional reconstruction is usually helpful in surgical planning due to the complexity of the facial anatomy and other facial bone fractures are commonly present with frontal sinus fractures. A facial CT scan is also recommended to rule out associated orbital and midface fractures. The degree of displacement and comminution of the anterior table as well as presence of bony particles inside the frontal sinus that can potentially interfere with nasofrontal duct function. Also, evaluate for possibility of mucosal entrapment in between the fractured fragments. Degree of displacement and comminution of the posterior table. Involvement of the medial structures in the proximity of the nasofrontal duct. Pain, discomfort with changes of function of superior oblique muscle. Changes in sensation, or loss of sensation of supraorbital and supratrochlear nerves. Evaluate for associated nasal, facial, skull, or neck fractures. If the fracture is nondisplaced, it can usually be observed. Fractures with displacement of over 2 mm can result in significant aesthetic deformity and depending on location can present problems to outflow. Therefore, consideration for repair should be given to patients with over 2 mm displacement of the anterior table, especially if bony fragments are present inside of the frontal frontal sinus, or if the fracture is more medial. The traditional approach to repair is coronal incision, which Dr. Volshteyn rarely uses, except in the most complicated cases. He commonly uses a mid forehead, supra-brow, or below brow incision, or endoscopic approach. Usually the scars around the brow are better accepted by the patients compared to traditional coronal incision. If the fracture is old, and the frontal deformity is visible, endoscopic placement of the onlay graft, or open placement of bone powder or other materials can result in significant improvement of overall appearance. Some surgeons still prefer to treat most anterior table fractures conservatively and deal with cosmetic deformity later on, which Dr. Volshteyn finds outdated. With below brow incisions superb camouflage, he prefers to address anterior plate frontal sinus fracture acutely. If the CSF leak is present, depending on degree of displacement of the posterior table, most patients can be managed conservatively for 5-7 days. It CSF leak does not stop, additional surgical intervention is required. 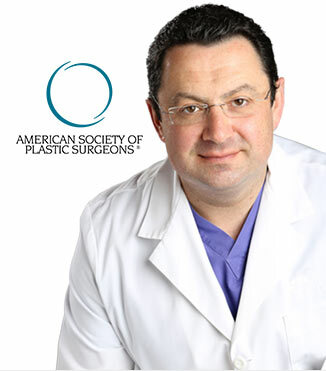 Dr. Volshteyn is a board certified plastic surgeon, specialized in reconstructive and micro surgery. 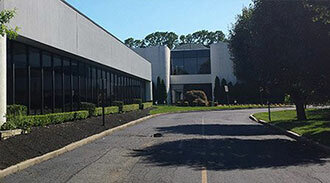 Call our office at 732-641-3350 and we would be happy to provide any additional information.